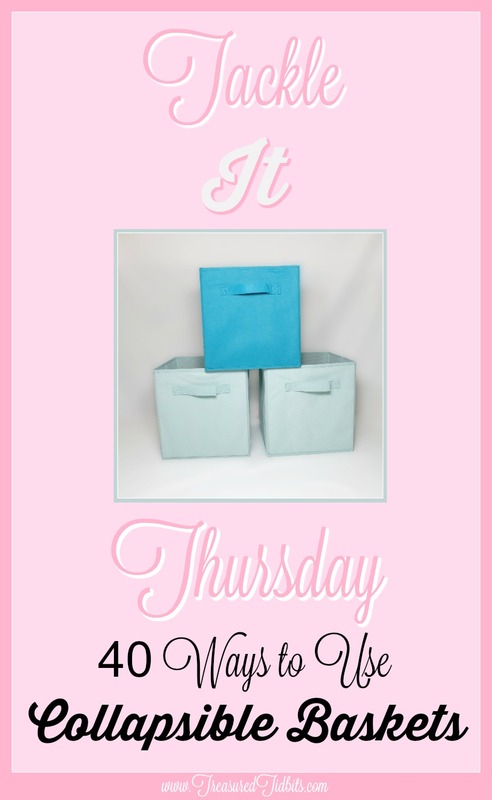 Just a few days ago I shared why our entire family enjoys collapsible storage baskets and a peek at how we use them in our entryway, to hide all.the.things. 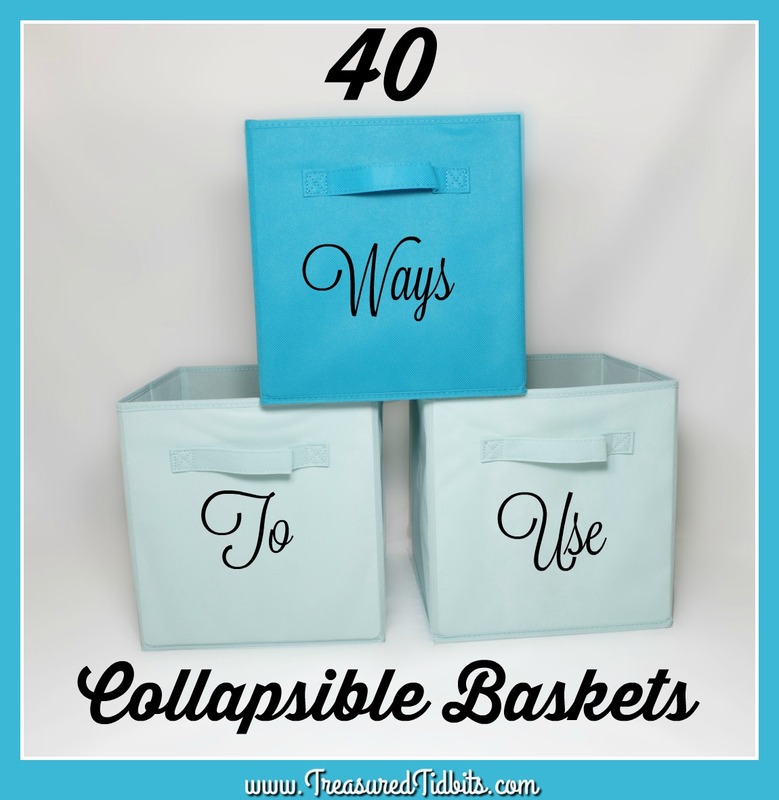 Today, I want to share 40 ways we use those collapsible storage baskets. 1.) 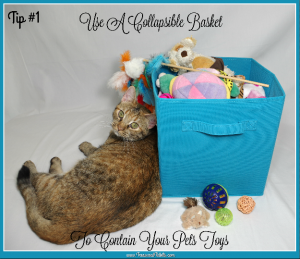 Controlling pet products and toys. 2.) Hide and Seek with the cats. 4.) For groceries you want to stay upright, because Lord knows they don’t in those recycle, plastic or even paper bags. 8.) On the counter for all those loose bottles you don’t want to put away, but don’t want falling over either. 29.) 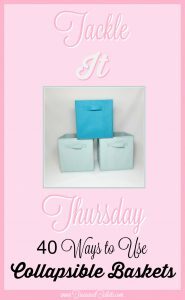 Random stuff for a quick pick up and easy put up. 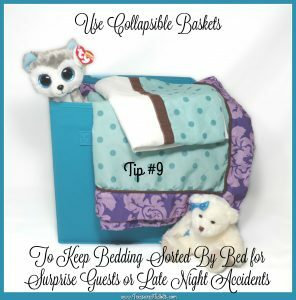 Just carry the basket through the house. 37.) 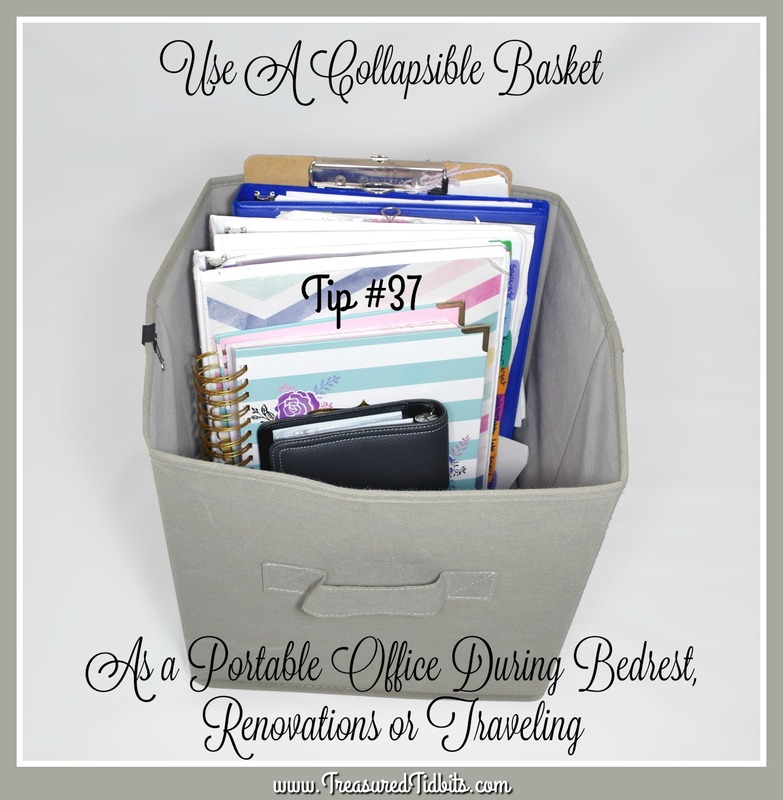 A portable office, since I can’t sit at the desk or table for very long. It makes for a quick clean up too. I simply toss my binders, papers, clipboard, pens and any other supplies inside, and have hubby carry it to whatever location I can work in that day. 38.) Items leaving the house like mail, coupons we are passing on, items people forgot or we want to share, etc… When we run errands or guests stop by, we can just grab a basket and go. 39.) 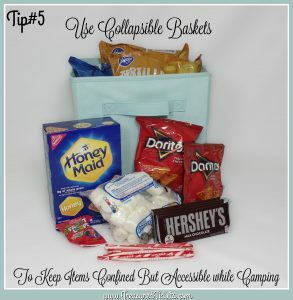 We use them to take small items from the dryer, then carry it to the table to sit down and fold. 40.) We fill them with small items we need to take up and down the stairs for different activities. 41.) My favorite!!! Sorting and organizing spaces. 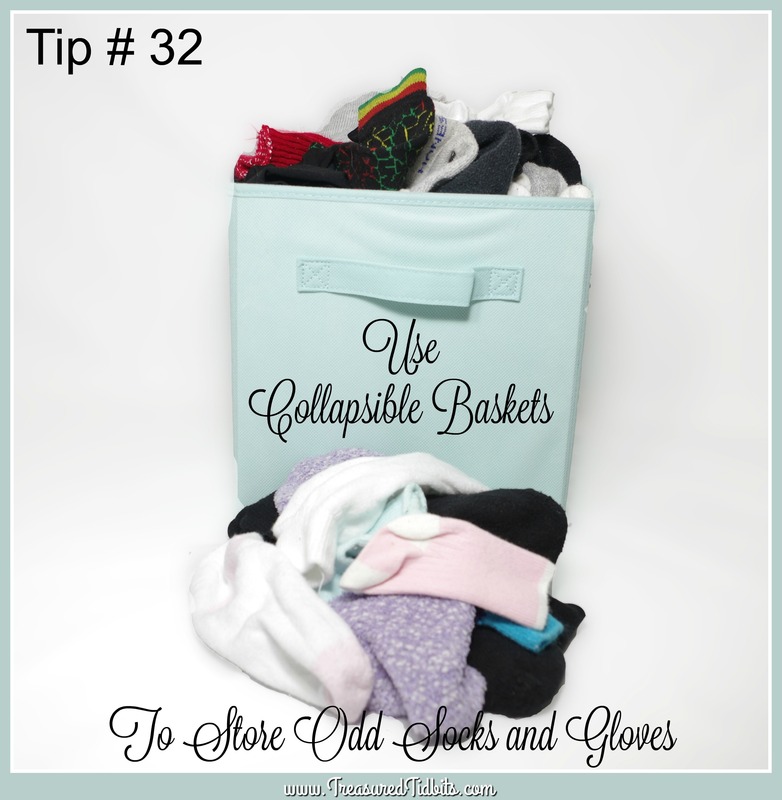 I love the fact that collapsible storage baskets fold compactly when not in use, and I don’t need to have several bags or boxes laying around until I start or finish a project. 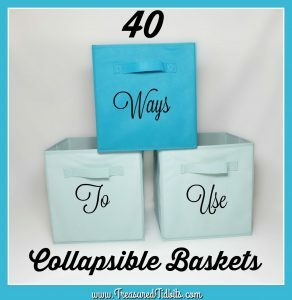 What do you use collapsible storage baskets for? We would love to hear your response below. Disclaimer: Some of above links are affiliate links and may result in a small compensation if you click on them, at absolutely no cost or effect to you. To learn more, visit our disclosure policy here. 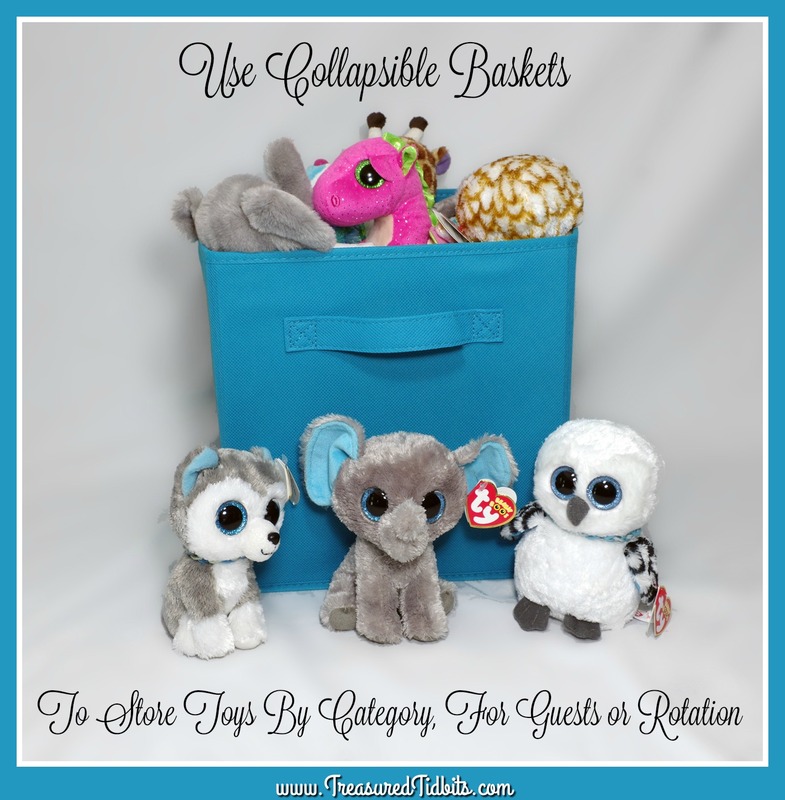 Can’t get enough of Treasured Tidbits? 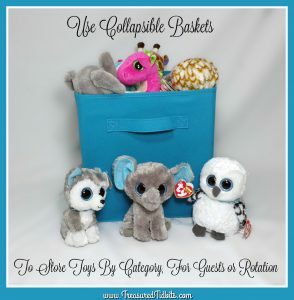 Follow us on Facebook, Pinterest and Instagram where we share more each day including other sites, deals and inspiration.